Guthrie Public Schools superintendent says the school district has weathered the financial storm over the last two years, but says he’s moving forward with caution. 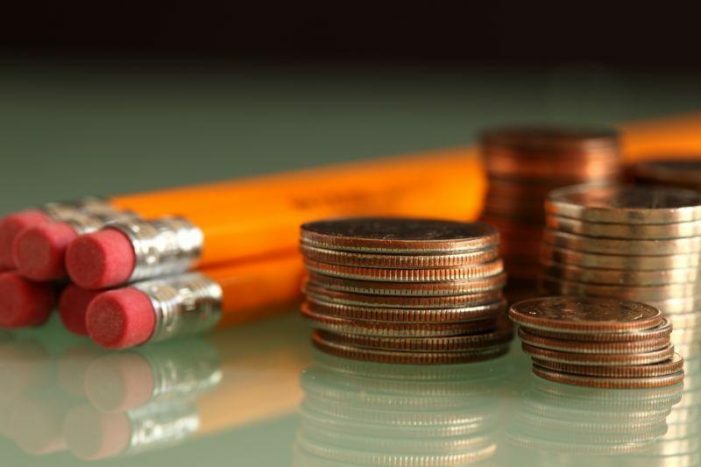 During Monday night’s Board of Education meeting, Dr. Mike Simpson shared the Carryover Fund this year has returned to where it was two years ago. The school district’s carry over balance came in at $2.4M as of June 30, which includes cuts of $500,000. A year ago the carry-over was $1.97M and two years ago was $2.6M. The Carryover Fund allows the school district to operate until property tax payments come in toward the end of the year. “This shows we have weathered the financial storm that was placed in front of us a year ago,” Simpson said. Despite the good news, Simpson says they are moving forward with caution. “We’re going to be very cautious because despite these good numbers, much of the 2018 state budget is built on revenue generators and that are facing legal scrutiny,” Simpson told board members. Simpson told board members to be watchful of House Bill 2433, which was approved by the Oklahoma Legislature during its most recent session. It’s expected to generate almost $13M for the fund that supports education (Education Reform Act). HB 2433 places a 1.25 percent sales tax on Oklahoma motor vehicle purchases. However, the Oklahoma Automobile Dealers Association filed a state Supreme Court lawsuit challenging the constitutionality of the bill. Until further notice, the school district is resting easy, for now. “We are breathing a sigh of relief, but we are approaching the year with caution because we have faced this before,” Simpson said.